thanks sebab sudi jadi follower p'tame Anna ya! untuk orang ke-10 award juga insyaallah akan dberi tau!Jangan sedey2 dah! 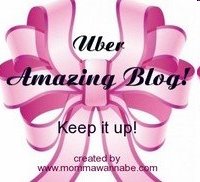 My Blog is totally underconstruction! i got no time to customize it! who cares, its trend, on now on..
Juz wanna share with u guyz, check it out! 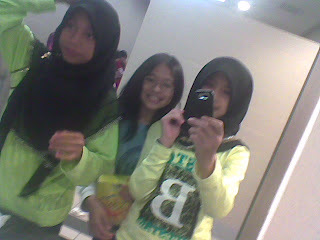 This is the first pic that i take, its so damn crowded in the toilet! we're kinda bored, so juz thought of taking pic! there's nobody in the toilet! 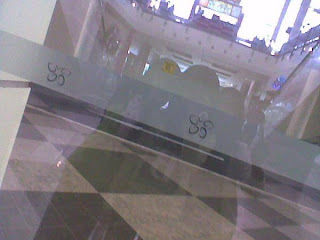 This is also time waiting my dad <3 no works to do, haha! Okay thats all for now, till laterzz, cya! Welcome to my New Simple Blog! too lazy to do it again, maybe next time, will make it black! Actually this award dh lme giler! at 2007 kot ? kn dayah? Qilah lagi ! rnduu kt kaw qilah! nper x dtg tusyenn ?? This award, not gonna giv it to anybody, muahahh! this award is from qilah! n caant giv to anybody! 1. Copy award di atas untuk diletakkan di blog anda. ~ frienddly n sgt tidak sombong! ~ suke conteng buku klau x de keje! fun! 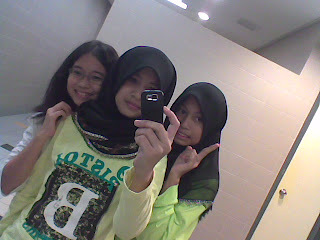 ~ syggg NIK SOFIAH, DAYAH, QILAH, SARAH n FARA gler33!! ~ the biggest fan of TAYLOR SWIFT n AVRIL LAVIGNE! ~ mnat NASYID jgk, n lgu inggeris! 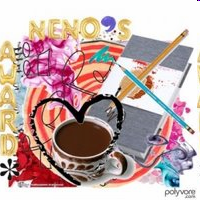 letakkan logo award ini di blog anda. 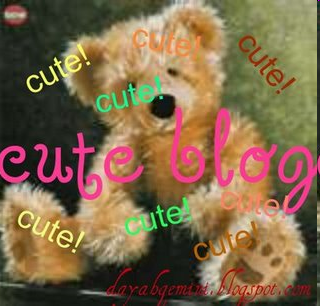 to" Dayah , n sume yg peeps2 blog iniy! sygggg u taylor swift ! 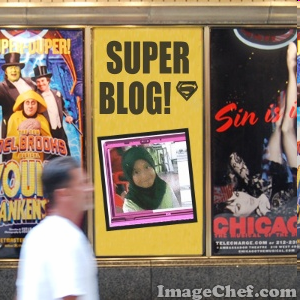 Published by Anis Farhana on Wednesday, June 17, 2009 at 11:49 am. Last night at the CMT Awards, Taylor Swift proved her versatility, rapping with T-Pain, doing comedy bits and fronting Def Leppard. Of course, Swift has longed to be down with hip-hop and has also been known to cover Eminem’s “Lose Yourself” in concert, so it was not terribly shocking that she ended up having pretty decent skills on the diamond-encrusted microphone. Considering Swift’s success, it’s only a matter of time before other pop stars dip their toes into the rap world, and we think these will be the best bets. » Katy Perry: Though her album doesn’t brush up much against hip-hop, Perry has been spotted on a boat with Rihanna (which means an introduction to Jay-Z can’t be far off). The “Waking Up in Vegas” singer doesn’t take herself too seriously, so we think she’d take the same tongue-in-cheek approach that Swift has. MC Team-Up: Lil Wayne. Weezy seems like the kind of guy who can tap into Perry’s brand of Technicolor nuttiness and match her note for note. » Ashley Tisdale: Tisdale has managed to distance her pop career from “High School Musical” relatively well, but she could use a final dramatic shift to separate herself. What would be better than getting a shoutout on a mixtape? MC Team-Up: Tisdale needs to get together with a female who can boost her girl power quotient — perhaps an up-and-comer like Nicki Minaj? » Joe Jonas: He has already dabbled in the R&B world with his “Single Ladies” interpretation and there’s a sort-of rap tune on the new album, so it seems like Joe’s next logical step would be to spit over some Kanye West beats. (The Brothers already want to mash-up their videos.) Plus, the JoBros’ new album relied heavily on ’80s synths — exactly the same machines that spin New Wave samples into hip-hop gold. MC Team-Up: Redman, because they both represent New Jersey. » Adam Lambert: He has barely any recorded output so far, but Lambert could establish himself as a genre-hopping musical chameleon. Plus, we already know he owns Motown, so it’s a smooth transition. MC Team-Up: An old-school cat like Afrika Bambaataa. His “Idol” output firmly entrenched him in classic rock, so he should start with classic rap as well. » Miley Cyrus: Like Swift, Cyrus has already dabbled in hip-hop, and some of her older tunes as Hannah Montana brush up against rap, but Miley could easily make the transition into being a full-blown b-girl. MC Team-Up: Cyrus should shoot for pop bliss, so why not rap over a track and have Ne-Yo sing the hook? After an entertaining gangsta-rap duet video with T-Pain, Taylor Swift got back in character Tuesday night as the princess of the Country Music Television Awards. Her Romeo-Juliet "Love Story" won the 19-year-old singer her second straight pair of fan-dictated awards for Video of the Year and Female Video of the Year. Fans bestowed Male Video of the Year on Brad Paisley's "Waitin' on a Woman." Also, Paisley won best collaboration for "Start a Band" with Keith Urban. Finally, Paisley shared the performance win for "Country Boy" with Alan Jackson, Dierks Bentley and George Strait. Like last year, Rascal Flatts again won for Group Video, this time for "Every Day," and Sugarland won Duo Video of the Year again, this time for "All I Want to Do." mrh x tentu psl, ahaha..
TAYLOR SWIFT! I adoreddd you ;)) u're awesome !! i luv u when u sing in the "Hannah Montana The Movie" !! u're awesomee ! when i watch u , i feel like, i'm watching u for real! u make me, crazier, crazierrhh!! juz wanna share with u the song, here the lyric goes..
Health Quiz, or in our language " Kuiz Kesihatan "
hurmmm.. kinda not satisfied with the result dude! u know what? my school got the 4th place dude! two years ago, 2007-2008 we got the first place! if we can get the first or maybe the 1st-3rd we can keep our championship trophy! ckgu kate : " alaa, ni kn competition, msti ader klh, ader mng, x kn nk mnaaang jer! " everyone said : " SK Sg. Rawang cheated!! " NOBODY ever ever ever think that sk sg rawang will be the champion dude! Alhamdulillah! mae bg g cinema! it's the thing that i never expected b4! yeay! qilah x sekeh kepale i !! :DD qila boooo!!! ouh2! neway, bnde niy, ley ar buat relax sket..
ckup lar, dgn kengarutan aq hri nie! Thinking can never compare to the feeling of your kisses. You make me thank god that i live my life every day. Theres never been a doubt in my mind that id regret ever having you by my side. Today Wednesday, should be goin to cinema.. rite?? man i'm being a good person,, heehhe..
even i really does wanna go for a movie..but it's okay, i can go next time, maybe after UPSR..? last word: I happy being myself today, haha! n also goin' to cinema with my frendz!! poor thing there's no Qilah! huhuhu... but its okay qilah has been there for many times! so i'm kinda pretty sure my dad will allowed me to! cuz all these while when i wanna watch a movie with frendz, my dad let me to..
kinda DAMN HAPPY with it !! cuz, its been a looong time i didnt watch movieh!
" Ya Allah, kami harap Engkau makbulkn hajat kami untuk menonton wayangg ;pp, Ammiiiinnn !~"
Pleasee,,, i'll tell my dad about this, my dad kinda sporting lar, haha! Okay, that's all i wanna share 4 this time, till laterzz.. There's lots of my friend go for a movie this week! also my sis! Rina... duh! i wanna go! i wanna go !! thats its, there's two guys asked me to go for a movie! BUT, BUT, BUT! i CANT go duh! i'll be going for a shopping with my friend! and i'll give a good result for my MOM!